Formaldehyde in your vape, say what?! If you’ve paid any attention to the media over the past few days, read any news articles online, or switched on the TV news channel to hear reports of current events, you’ve probably heard something about electronic cigarettes containing more formaldehyde than traditional cigarettes. This past week, a study published in the New England Journal of Medicine announced that e-cigarettes produce more formaldehyde than traditional cigarettes. While the study did not cover all the facts, as leaders in this industry, we feel it is our duty and responsibility to report upon this matter both objectively, and with an unbiased take. Because, in all fairness and seriousness, this study is not being reported with accuracy nor full disclosure of the truth. Hey, you hear “formaldehyde in your vape,” you can’t say you aren’t just a little freaked out, thinking back to dissections in high school biology class. Not to mention, who hasn’t seen the most recent anti-tobacco TV ad likening smoking cigarettes to drinking straight-up formaldehyde? Formaldehyde is in heavy trending rotation at the moment, and someone needs to set things straight! 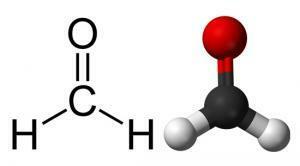 Formaldehyde, in general terms, is produced everywhere as it is comprised of hydrogen, oxygen, and carbon. It is considered a carcinogen, however it is a commonly produced substance. In fact, it is produced in everyone as a byproduct of common cell function. 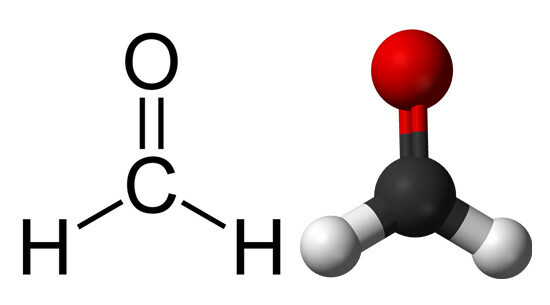 Tobacco cigarettes produce formaldehyde, and as found in this study, under certain circumstances, advanced variable voltage vaping devices can produce formaldehyde hemiacetals. However, it must be known, “formaldehyde hemiacetals” are not the same as true formaldehyde. They are composed of formaldehyde and alcohols, and there is no proof that they are carcinogenic like actual formaldehyde. Keep that tidbit in mind. In this particular study, the researchers examined whether or not formaldehyde was released in the vapor of e-cigarettes. The vaporizers, whose name shall remain unknown, was set to 2 different settings. The first of which, 3.3 volts, 6-7 watts, and 4 seconds per puff, a typically normal setting, released no formaldehyde. The second setting, 5 volts, 14-16 watts, with a 4 second puff time, an extremely high setting any normal vaper would never willingly use, produced formaldehyde hemiacetals. The second scenario creates really gross vapor flavor, and even has its own moniker: the dry puff phenomenon. It comes as a result of the atomizer overheating, and is not recommended. Dr. Farsalinos, one of the leading scientists involved in positive e-cigarette research, concluded it would be akin to consuming overcooked meat (of which carcinogens would inherently be present); not enjoyable on any level. The Air is Doing Awesome! Celebrities Love South Beach Smoke!